Yoga’s not just for adults. It’s a great way to help kids relax and unwind after a busy day at school. 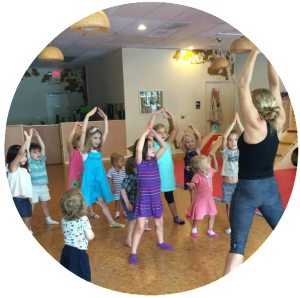 Taught by certified yoga instructors, Kids Garden’s weekly yoga classes are designed to teach kids to be active, relieve stress and think in positive ways. Kids yoga classes are held weekdays at normal hourly rates. There are no extra fees, and you don’t need a reservation for your child to attend. Feel free to ask about yoga when dropping off your child—many of our teachers are also yogis and are happy to hold the occasional spontaneous session.